Men and women in Germany are tall. Men in particular. This is especially surprising for a Brit who has lived in France. British and French man have a propensity to be short, and for a girl who is slightly taller than average this can be an issue. Conversely the men in Germany are huge compared to their counterparts in England and France. They’re 7 foot, towering redwoods, crick-in-your neck type tall. I thought the French were big smokers, and they are. But Germans give them a run for their money. On every single street, no matter how small the village, far-flung the suburb, or how innocuous the street itself, there is a cigarette machine mounted on the wall. Many are old and covered in graffiti, but they are everywhere. They require you to insert a card to prove your age, however it’s easy enough to borrow someone else’s and get them when you’re not supposed to. On nights out, people in our group were going through packs and packs of cigarettes. Once one pack ran out they simply staggered out onto the street, located the nearest vending machine and bought another. Yes the French are big drinkers too, but they’re more a bottle or wine or two over the course of a night kind of drinkers. The Germans drink hard. Pints after pints of beer can be consumed without so much as a hiccup. Bavarians in particular are a tough bunch when it comes to holding their alcohol, putting it all away with ease. I also rarely noticed scenes or incidences of violence or drunkenness in beer gardens. As my tour guide commented, the same amount and usage of beer gardens in the UK would cause riots. I say this as a Brit myself; we just cannot hold our drinks like these Germans can. Or maybe that was the group of people I happened to hang out with!…. A number of times my friend had to stop me trying to cross a deserted road. “They don’t really like it in Germany,” she said, with a shrug. This is the girl who will frequently leaving me talking to thin air at the pedestrian crossing as she nips across between cars back in the UK. But in Germany, this is not allowed. On one occasion we were staring down two wide lanes of empty road, stretching far off into the distance with not a car in sight. 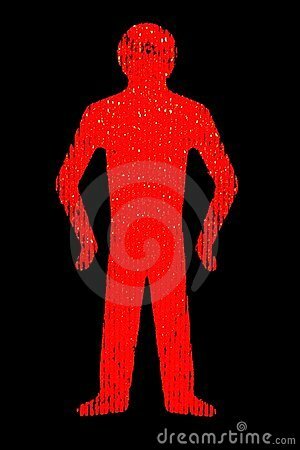 The red man was lit, and I took a step out into the road. “No, wait” my friend said, stopping me. A parking attendant for the festival we were going to see was sat in his fold out chair reading his book nearby. “I don’t want him to shout at us,” she said, nodding towards him. Apparently the Germans just don’t like jaywalkers. The autobahn is insane. There is no speed limit on the autobahns, so I assumed the fast line would be reserved for people with sports cars trying out the full extent of their horse power. But no, the everyday German likes to use it as well. Whilst travelling the eight hours to Luxembourg we many times felt the car rock as an Audi with a luggage box on its roof sped past us at ridiculous-kilometers-per-hour. Just your typical German driving his family back from their holidays. I remember watching a video in a PSHE class (similar to citizenship classes) at school, which was all about recycling. Back then (I must have been about 13) it was quite a new concept in the UK. Even now people still bemoan separating their cardboards and their plastics, many councils don’t even require you to (or require such a minimum it seems pointless), and the whole exercise is deeply despised. Germany on the other hand were early adopters in Europe, and they have taken to it with zeal. Whilst staying at my friends house I had to learn where each of the individual bits of recycling went. There was the plate on the counter top where the ‘compost’ rubbish went, such as onion peel, apple cores, teabags etc), and the little brown bin outside the back door where it could be stored before going out to the big brown wheelie bin. Then there was the cupboard where there was a bag for plastics and a bag for tins (tins which had to be thoroughly cleaned beforehand, which is not stipulated in the UK). There was another wheelie bin at the back for cardboard and all glass was stored in crates to be taken to the glass recycling bins. When I got back to the UK I was forever trying to find the plate to put my apple core or tea bag and was panicky when recycling was mixed. It never felt like a chore, or time consuming, so I’m not sure why UK has such a problem with it. 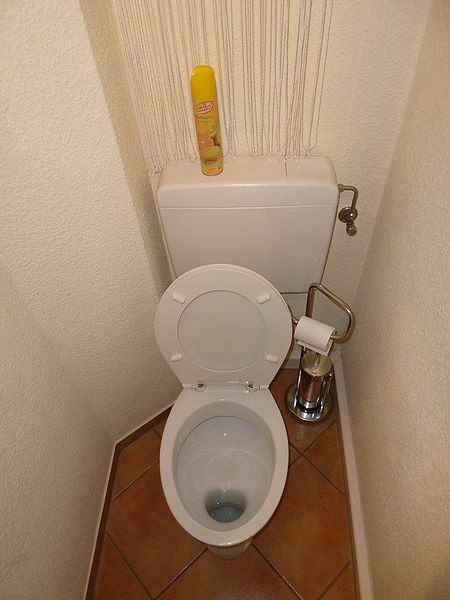 Has anyone else been to Germany and noticed any interesting quirks or habits? Share if you have! I’m glad that someone who lived there longer than me thinks these things too! It’s something I love about travel, discovering a nation’s quirks. It makes you love the country all the more usually!